No one is interested in finding the truth. The truth sometimes becomes Hindu, sometimes Muslim and sometimes Christian or else. The facts and circumstances are interpreted as per the convenience of the concerned persons or the authorities. Sometimes the concept of interpretation itself becomes the subject of interpretation. The powerful in the society have the potential to influence the interpretation of the events. They have their narrative format like in which sometimes the Islamic scholar Zakir Naik is projected as the mini Dawood. The stuff communicated in such an obnoxious language explains the might is right scenario. The tone and tenor of such hateful speech does not undermine the popularity or the credibility of a person targeted but it does explain the hollowness and shallowness of a person using the insensible expletives. The hawkishness steeped in the falling standard of communication is the abuse and arrogance of power of the prejudiced mind with the blinkered vision who has no legal or moral scruples has all the rebuff and the ridicule the world over. The prejudiced pack communication triggering provocation has become the order of the day but what is more alarming is when the prejudice creeps in the justice system. The Gulberg society’s much-awaited judgment provided a long gap between what is just and unjust when the former Congress M.P. Ehsan Jaffrey who was burnt alive in the Gulberg Society in Gujarat with around 69 others was blamed for provoking the huge mob. As this was not enough a FIR was slapped over the kin of the Dadri victim Mohammad Akhlaque who is lynched to death in September last year on suspicion that his family had stored and consumed beef at their Dadri residence in U.P. A forensic report in the Court in May had claimed that the meat found on the premises was of a cow or its progeny and not mutton, as had been concluded earlier. One forensic lab in U. P. deserves all the credit amid the bitter and contentious politics that it has the magic wand to perform the miracle that the mutton is sometimes turned in to beef and who knows the today’s beef tomorrow is turned into the golden egg and no one needs to be astonished by the marvel of the miracle with the current cycle of events in our country which can make anything emerge. It is not understood as to what formed the basis of drawing an inference from the new forensic report when the earlier report had indicated the stuff as mutton. The earlier report terming it as mutton has a more strong foundation as there is no time lapse to allow the interference of other factors or ingredients. The subsequent report terming the report as beef is after a huge lapse of time which has the potential of allowing the interference of other ingredients or factors. The two forensic reports are contradictory and opposed to each other. Earlier two charges sheets contradicting and opposing each other in the Malegaon blast is also a bizarre phenomenon. 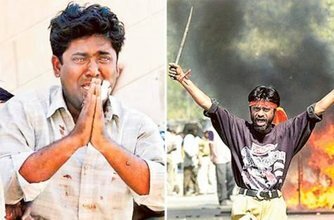 With the phenomena like two forensic reports and two charge sheets in Malegaon blast case, the question arises whether we would come to such a sorry pass to have different courts of law to decide the same matter. Would the cause of Justice crumble under the weight of our own internal dissensions? Akhilesh Yadav has not gone along with the subsequent report leading to the lodging of FIR against Akhlaq’s kin. However, the problem has occurred under the administration of Akhilesh Government. It is under the very nose of Akhilesh Govt. that a large-scale communal violence occurred in Muzaffarpur in U.P. It is under the very nose of Akhilesh Govt. in U.P. the inflammatory utterances are made against Muslims and there is no restraining influence. The paradox is further complicated when his father once popular with Muslims as Moulana Mulayam Singh has failed to provide the safe environment to Muslims through his son’s Govt. Muslims once succumbing to the beguiling allurement of his pro-secular instance are now feeling the heat with the fuelling of fire causing unrest in the troubled region. Akhlaq’s murder was the failure of the Uttar Pradesh Government. Akhilesh Govt. looked the other way when mobs are incited in Muzaffarpur and other areas to create the communal lawlessness. Akhlaqs brutal and gruesome murder was roundly condemned by the intellectuals as it was a high time when the murder of rationalists like Kalburgi Dhabolkar and Pansare had come in for sharp criticism. Such murderous assault has triggered the movement for the return of the awards. The award returning was treated as the supreme act of fighting for justice and the secular values. The award returning campaign defined the moment of dissidence against the escalating intolerance in the country born of the efforts to implement the hidden and now open agenda. The shock waves from the award returning campaign were even felt in the corridors of power. Against this background what is not to be overlooked is the deafening silence of the intellectuals when the case was slapped against Akhlaq kin in Dadri. The disassociation of the intellectuals in supporting the cause of Justice in the moment of crisis has the sinister implications for the country. The intellectual debacle at the moment of crisis needs an explanation. There is the assault on the constitutional norms and morality under different pretexts. The political response to various decisions are rooted in double standards of justice and partiality. The political culture in the country very keen on hurting the interests of Muslims, a politically orphan community quite embedded in the double standards of Justice and partiality also talks from housetop for the impartial and fair implementation of law. The political class in the country is only interested in fragmenting the society with all the hateful material at its disposal with growing aggressiveness for its unsavoury vested reasons in the process tyrannising the helpless and beleaguered Muslim minority on one pretext or the other. The political class in our country steeped in deep corruption is not even sensitive to the Hindu interest as evident from the fact that a large chunk of poor Hindus and others are lying stranded at the platforms at various stations and nothing worth is done to redress their worsening plight. These poor folk are seen dying within the extremely short span of time and the political class is never seen calling the shots to make the poor and the wretched overcome their turbulence. The World is Gripped by "Cancer of Terror"